'Banho' is an ancient Brazilian ritual of bathing. It is closely connected to shaman rituals with the purpose to get in contact with the power of water and to throw off stress. Picture this happening under the waterfalls in the Amazon forest. Refreshing and purifying. 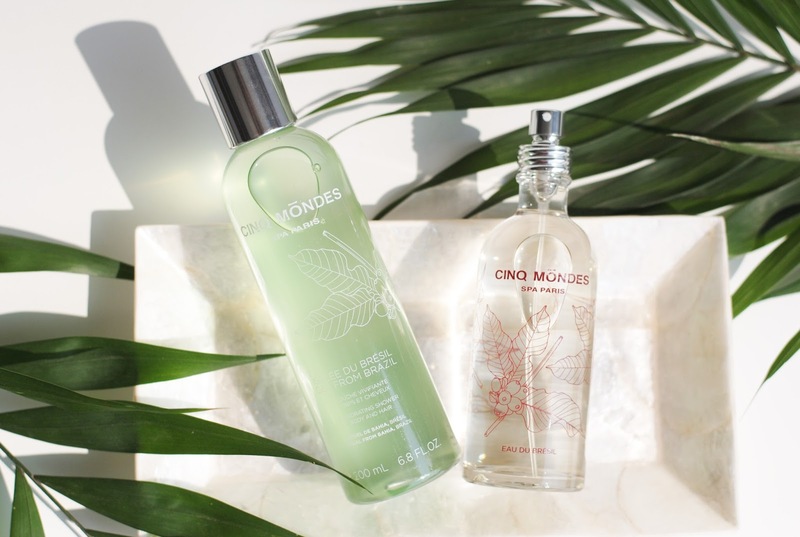 This is where Cinq Mondes based it's newest products on: the Water and Gel from Brazil. This beautifying water is part of the Banho ritual. 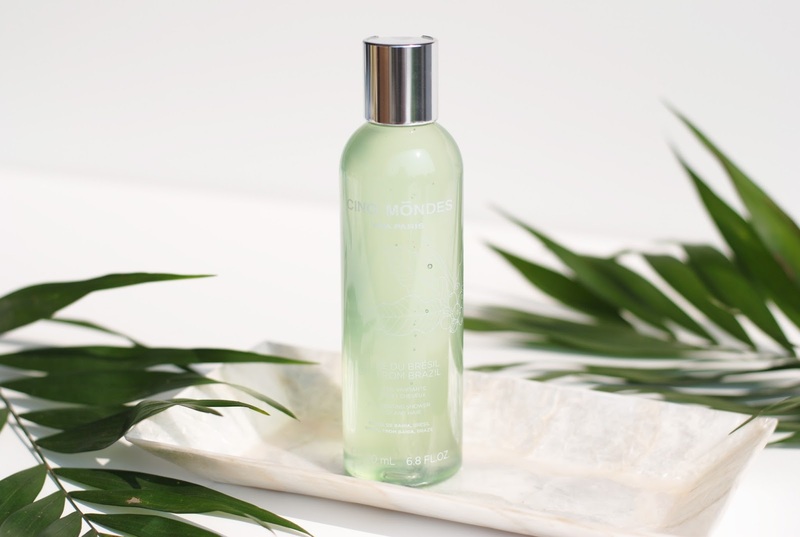 It exists out of essential oils from sweet lemon and lime, softened with the scent of coconut water and white cedar. This combination actually feels like taking a shower outside. 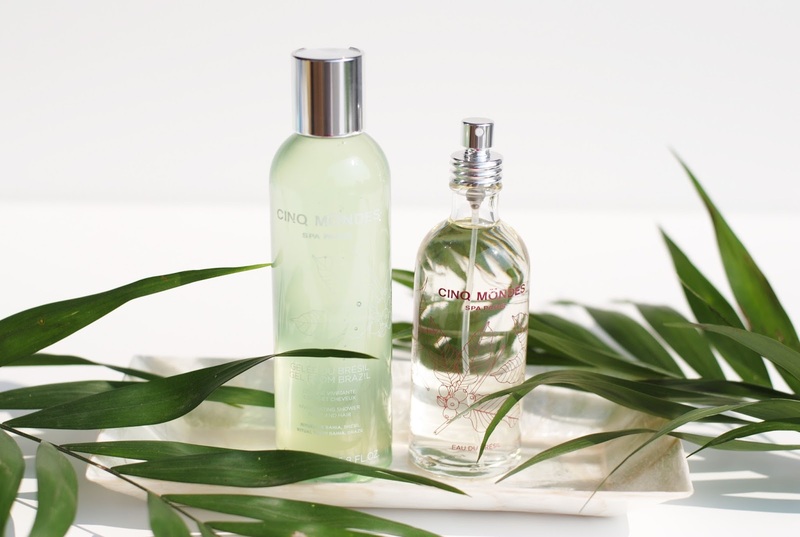 The 'Eau du Brazil' can be used as a body mist and linen spray. I love bath & body products as you know, and this gel makes me happy. It has a slightly different scent than the water, it smells very fresh, green. The gel is quite hydrating and leaves my skin feeling very soft. You can even use it on your hair by the way. 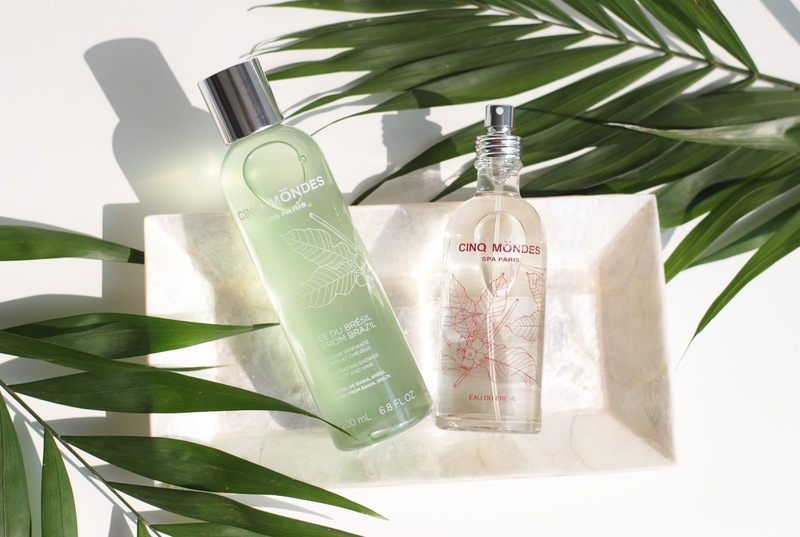 Cinq Mondes is a brand that always stays quite true to itself. 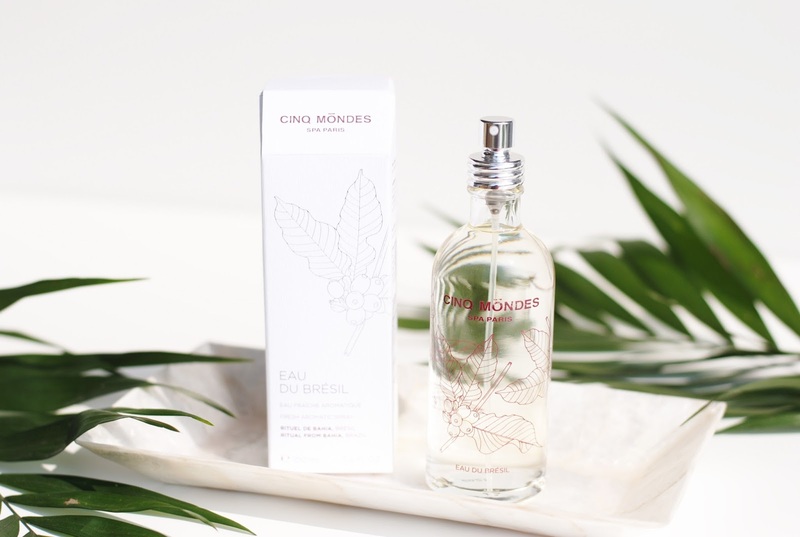 The new Brazilian line is also very 'Cinq Mondes' in terms of fragrance. My personal favorite is the gel, I just used this one way more often than the mist. Do you use body mists and linen sprays? Oh ik hou van body mists! 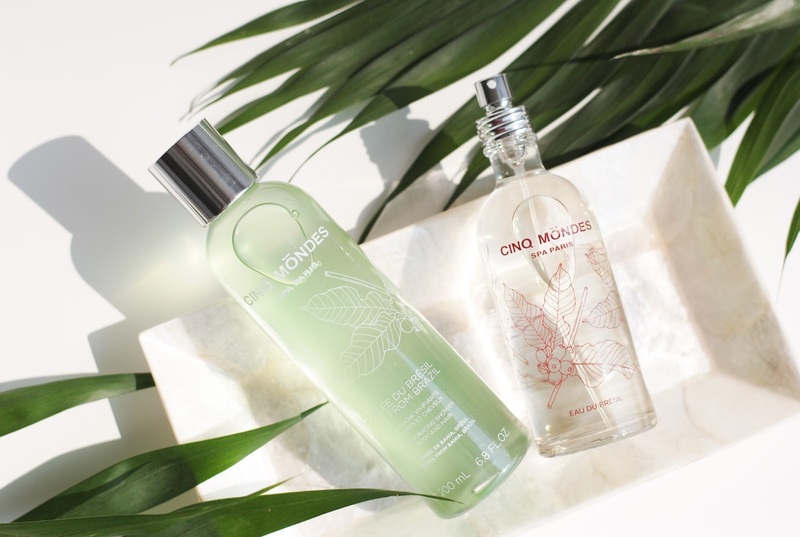 Cinq Mondes products always smell so good! I really like that they always explore the world with their products. And your pictures are beautiful as always. Wow, this feels so Caudalie-ish! Gorgeous packaging. So pretty! Sounds like some great stuff! Wat een mooie flesjes! De producten lijken me erg fijn!